Starring Steve Carell, Timothee Chalamet, Maura Tierney, Kaitlyn Dever, Stefanie Scott, Kue Lawrence, Jack Dylan Grazer, Oakley Bull, Christian Convery, Julian Works, Amy Forsyth, Andre Royo, Timothy Hutton, and Amy Ryan. The most important thing to know about Flemish filmmaker Felix Van Groeningen’s English language speaking debut effort Beautiful Boy is that it’s a true story of drug addiction (particularly, crystal meth) not just based on memoirs from the user, but also the father. Steve Carell (who, at this point, has beyond proven himself as a capable dramatic actor and gives one of the best performances of his career here) and rising star Timothee Chalamet portray David and Nic Sheff respectively, chronicling the inner torment that parents go through from witnessing their loved ones recover and relapse just as much as the effects on the user (which are mostly explored psychologically only, and disappointingly so considering the prospect of hard crystal meth usage doing a number on Chalamet’s boyish good looks would have made for a hugely rewarding physically transformative performance, but nevertheless he is still empathetic and heartbreaking based on his natural talent alone). Here’s how committed David is to save his son from these personal demons: he scores some of his own drugs, crippled with desperation to understand why the narcotics have such a stranglehold over Nic’s mental well-being. Of course, this comes after conducting research and spending some time with a random junkie off the street by purchasing her lunch (it’s here where the paranoia and anxiety that such drugs instill into an individual are on full display and deeply unsettling), but apparently that’s not enough. Call him stupid if you want (no, David doesn’t also get addicted just in case you are wondering if the film has some unexpected narrative diversion halfway through), but it’s a necessary action to the overall message Beautiful Boy is sending to anyone affected by this epidemic. Savior is not in the hands of loved ones, even parents. Once again, give credit to the script (also written by Felix Van Groeningen alongside assistance from co-writer Luke Davies) for taking the road less traveled in terms of drug addiction films, as with each relapse David thrusts himself further into his own psychological suffering trying to do anything to get Nic back on the road to recovery and making it stick once and for all (it should also be noted that he receives advice and help from both his ex-wife and current wife played by Maura Tierney and Amy Ryan). As time passes with each consecutive relapse, optimism fades; there comes a point where David eventually realizes that nothing he does will help or ever will, and it’s a moment that Steve Carell plays with restrained, piercing hurt. Also, it’s exactly why the film opens up in the middle, on a note of determination (although to be fair, much of the story is presented in non-chronological order to give us glimpses of Nic’s childhood, a look at his impressive artistic talent and other hobbies he excels at, and generally quiet, peaceful, happier moments of his life) to get to the bottom of why his son feels he needs crystal meth and how it can be stopped; the juxtaposition of the beginning and end depicting overtly different moods hammers home the central thesis. The scenes are even framed with different lighting to highlight the darkness creeping into David’s soul, that it’s not up to him whether his son lives or dies. This is a family that loves one another unconditionally, but only an addict can defeat addiction. 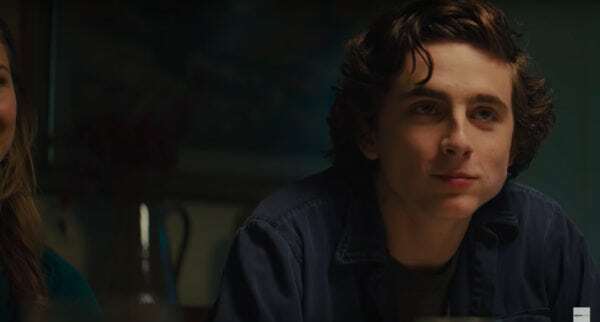 As for Nic, Timothee Chalamet depressingly embodies all of the traits and tics of an addict; compulsive lying, whining about parental smothering, that itch for another fix, and of course, puts others around him in equal danger. There is a segment that might fracture some of the sympathy earned, as Nic gets another girl high and is essentially the cause of her near-death. Obviously, the film is meant to contain complexities regarding these real-life characters, but at the end of the day, the performance works but not just because of Chalamet. 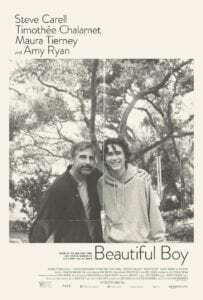 Some of the flashbacks and good time sequences are necessary; the title Beautiful Boy isn’t just referring to the actor’s handsome appearance or the nursery rhyme that David sings to Nic as a young child, but also the inner personality of this young adult who is deep down a warm and caring person when not hooked on illegal substances. Furthermore, by contrasting the timelines, it emphasizes the terrifying dynamic of parents not always knowing who their children really are and what they are up to. 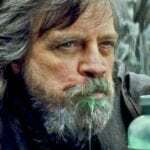 Sure, you get a more harrowing experience focusing on just the self-destructive tendencies, but also an unlikable character which is not in this film’s best interest. Aside from Beautiful Boy not going deep enough with its depiction of drug abuse, and unfortunately lacking in one truly unforgettable emotional moment related to crystal meth, there is the feeling that the film doesn’t spend enough time during the bliss of recovery. At one point, it’s stated that Nic has been clean for over 450 days, which just isn’t palpable. There’s even a part of his life at college that is glossed over in favor of getting back to the darker times. The story doesn’t feel rushed, but possibly a bit too focused on the relapse portions. 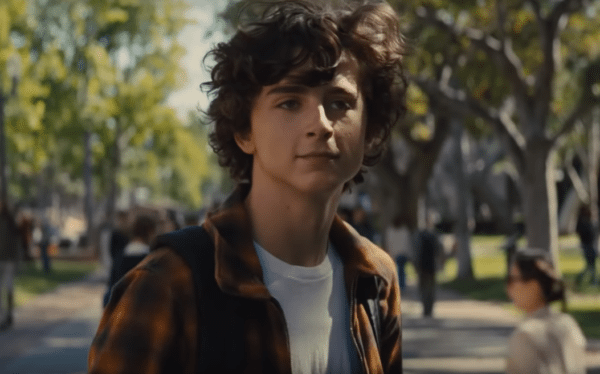 Regardless of what’s happening on screen, Steve Carell and Timothee Chalamet are aching portraits of genuine suffering; minor faults aside Beautiful Boy is the best film chronicling drug addiction since Darren Aronofsky’s masterpiece Requiem for a Dream.